If you’re like me then you just love salads. I’m a big fan of all types of salads. I especially enjoy creating my own scrumptious salads to enjoy during lunchtime. I’m always on the lookout for new and creative ways to spruce up my salads. Recently I have been experimenting with arugula as the base for my salads. I put together many different versions of my arugula salad but one of them stood out as being the best. The ingredients are so simple. Recipe by Chef Antonetta. Total time: 15 minutes. Prep time: 5 Min. Cook: 10 min. Yield: 8 servings. To prepare dressing: Whisk shallot, oil, vinegar, mustard, salt & pepper in a small bowl. 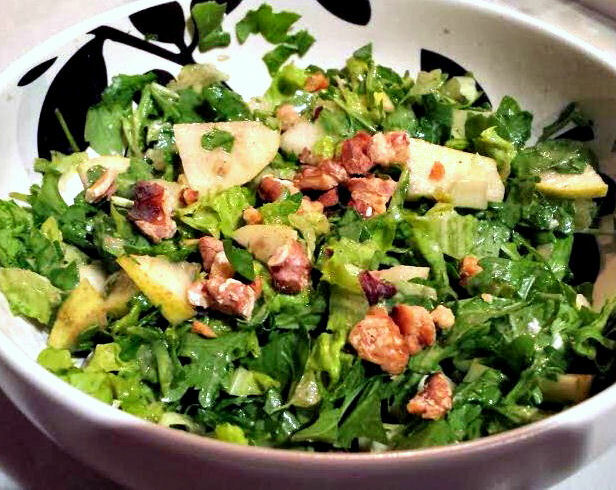 To prepare salad: Toast walnuts in a small dry skillet over medium-low heat, stirring until fragrant, 2 to 3 minutes. Transfer to a small bowl and let cool. Just before serving, cut pears into slices. Place in a large bowl. Add lettuce, arugula and dressing; toss well. Top with walnuts or your favorite nuts. Try it! You’ll love it. Let me know if you did. Both recipes look amazing! 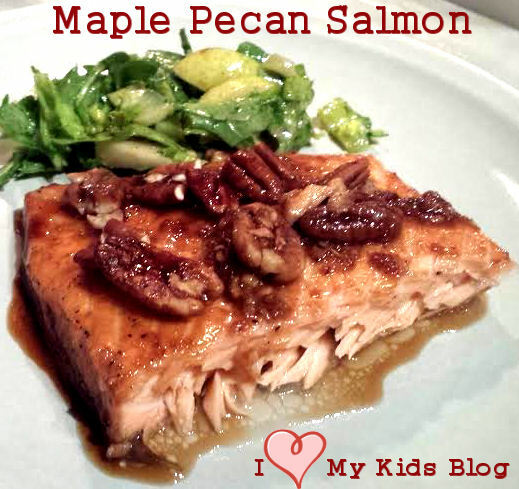 I love Salmon, never thought of nuts as a topping for it!